April 12-18, 2015 - St Croix's Most Fantastic Foodie Week! What started out 14 years ago as a one night event has become one of the top 10 international food and wine events listed by ForbesTravel.com. In the past decade the St. Croix Food and Wine Experience has raised over $1.5 million for the St. Croix Foundation a nonprofit organization that serves the entire US Virgin Islands. This event attracts more than 3000 guests, including travel writers, wine markers, chefs, and foodies. Events include a food and drink filled golf tournament, a friendly cooking competition with celebrity and island chefs, elegant wine dinners featuring guest chefs and winemakers, kids cooking class, and more. Vacation package offer car rentals, tickets to events, meals and more. Hotel taxes and service charges are additional unless noted and restrictions may apply. 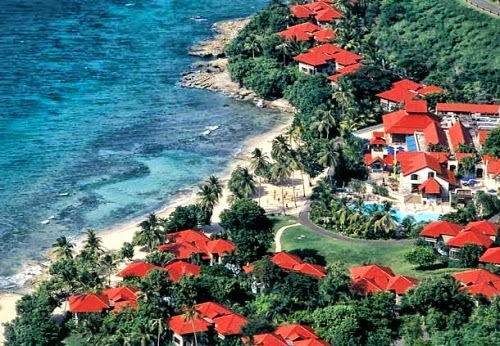 St. Croix Food & Wine Packages need to be booked with the hotel. The Buccaneer Culinary Getaway rate is $2,990 and includes 5 nights in ocean-view accommodations, 5 day car rental, 2 tickets to A Taste of St. Croix, plus full American breakfast daily, welcome cocktail, live music entertainment nightly and much more. 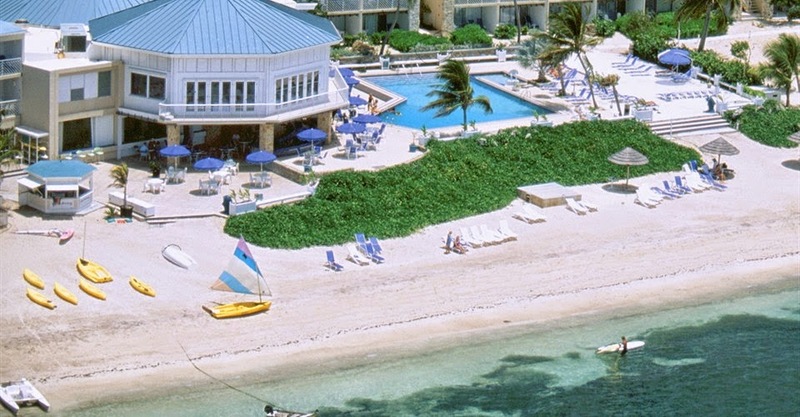 The Buccaneer offers two beaches, three restaurants, tennis, golf, a spa and 340-acres of oceanfront paradise. 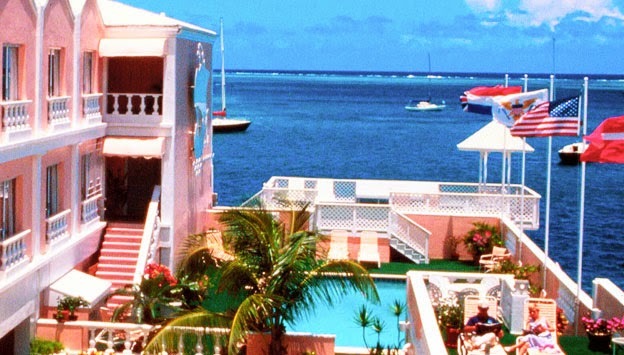 Located on the waterfront in the historic town of Christiansted, Hotel Caravelle is offering a flavorful package based on double occupancy in a deluxe ocean-front room. The package is $117 per person, per night for the three-night stay and includes two tickets to A Taste of St Croix, breakfast daily, and a copy of The St. Croix Food & Wine Experience cookbook. Travel must include Thursday, April 16th, 2015. Divi Carina Bay All-Inclusive Beach Resort is the host site for the main event of the week, and is offering a “Taste Special” for $169 per person, per night, which includes the hotel’s all-inclusive package plus a ticket to A Taste of St. Croix. Valid only on bookings of four nights or more. Travel must include Thursday, April 16th, 2015. Offer may not be combined with other promotion or on existing reservations. Book by March 31st, 2015. 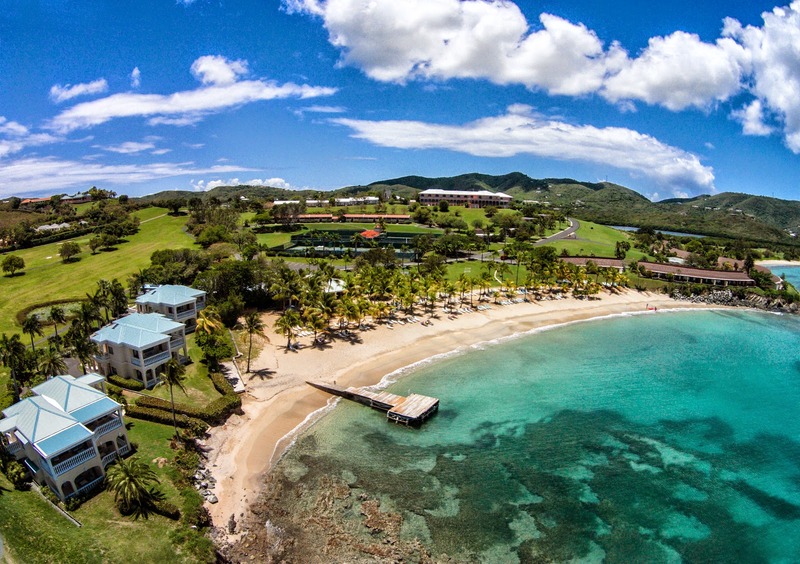 Renaissance St. Croix Carambola Beach Resort & Spa, a beachfront resort with tennis, golf and more, offers a three-night stay in deluxe guest room accommodations for their St. Croix Food & Wine Package. The offer includes $100 resort credit, full breakfast daily for two, as well as a welcome drink and a welcome amenity. The package is $825 for three nights, double occupancy. The beachfront Tamarind Reef Resort offers a three-night package for the St. Croix Food & Wine Experience for $551, tax and service fee included, that includes an ocean view room, a sun visor, plus one bottle of rum, and a coupon booklet worth $800. On-site amenities include the Tamarind Spa with massage, skin and nail care; freshwater pool; tennis courts; beach with kayak and snorkel equipment, sailing charter boats to Buck Island, as well as the casual Deep End restaurant and the award-winning Galleon restaurant. Thursday, April 16 - A Taste of St. Croix - The event that started it all!